I’m obsessed with suncatchers. 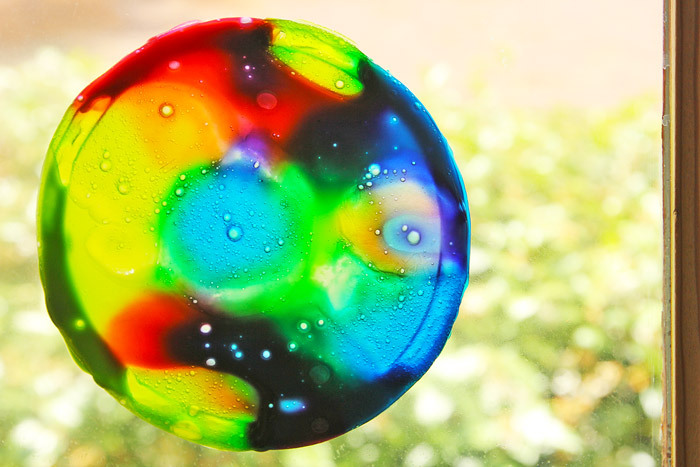 But I’m guessing you guys are too since one of the top posts ever on Babble Dabble Do is Cosmic Suncatchers. When we recently made Neon Slime I accidentally left some slime out on the table and it dried up and became translucent. 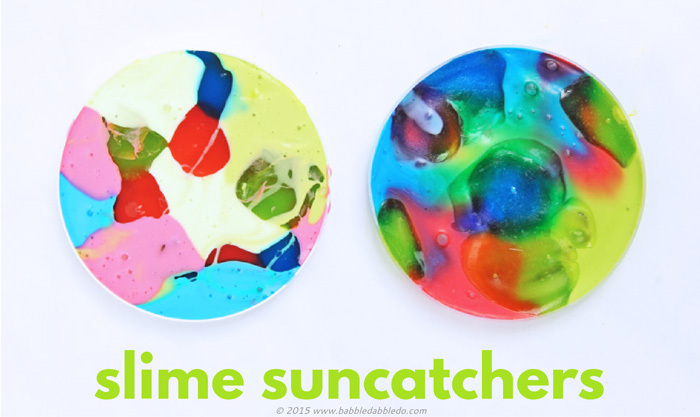 Then I had one of those crafty “Ah Ha Moments!” Maybe we could turn our bits and pieces of leftover slime into suncatchers. So we did, and these babies stick to glass like window clings as a bonus! I love the way these look. They color and transparency changes as they dry and they are really easy (albeit messy) to make. 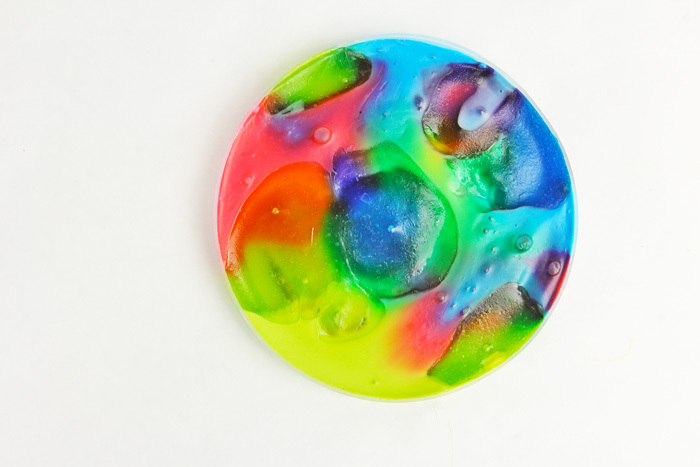 So the next time you make slime set some chucks of different colors aside and turn them into galactic art! 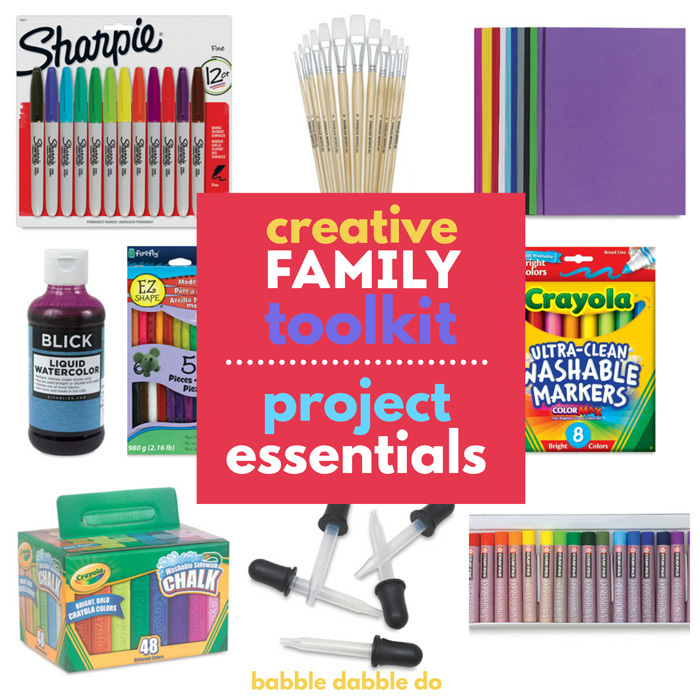 Note: THIS PROJECT IS MESSY! 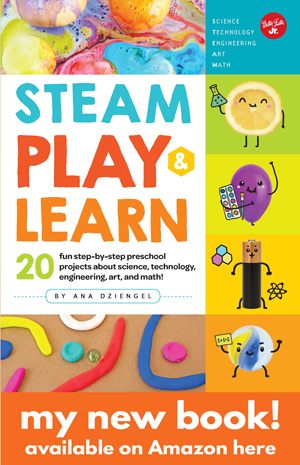 Spread out a large sheet of paper on your work surface, the drippy slime gets everywhere. Step Two Break off chunks of slime and place in the plastic lids. 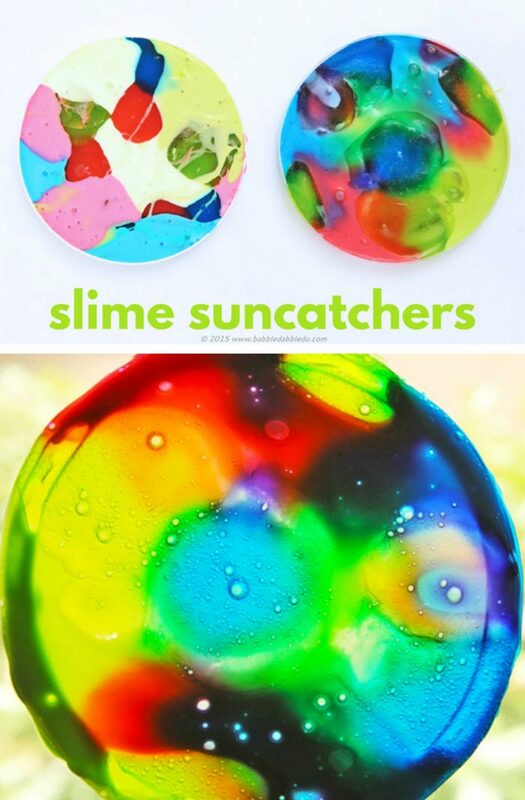 If your slime is gooey drip and drop it over the lids. Step Three Place enough chunks that the lids look full. There may be gaps, the slime will naturally flow and fill in all gaps as it settles. Step Five Once the slime is getting dry, gently peel it off the lid and stick on a window. Step Six If your slime isn’t dry enough it will begin to drip on the glass, in that case remove it from the window, let dry for about 30 minutes wet side up, and try again. 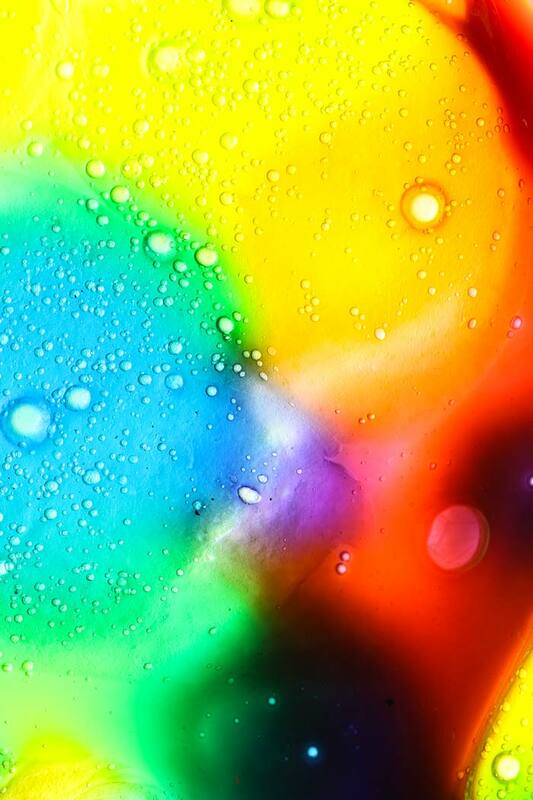 You want your suncatchers to be slightly moist so they will adhere to a window. You’re done! These can be removed from glass by gently peeling back a section and pulling. Once removed they will not be able to be re-adhered but you can hang using tape or a string. DON’T PAT IT DOWN! The slime will naturally flow and fill the lids. If your slime has been stored for a while, you made want to knead it before putting it out. Slime made with white glue tends to liquefy a bit when stored. Kneading it again usually brings back the rubbery consistency. 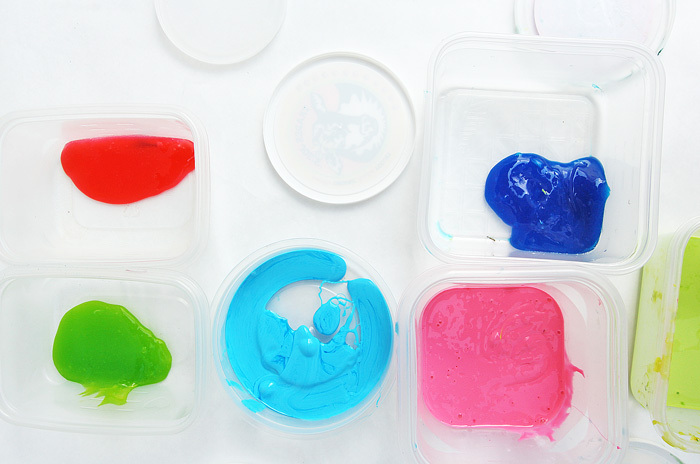 I recommend using light colors of slime and a combination of slime made with white glue and clear glue. That gives the nicest color and transparency swirls. If you are having trouble removing the suncatchers from your window, try softening them with vinegar. Isaac Asimov. Slime and suncatchers have nothing to do with Isaac Asimov but the cosmic, aurora borealis way these suncatchers look, made me think of astronomy and science fiction and nobody does science fiction better than Isaac Asimov. Isaac Asimov was one of the most prolific and popular science and science fiction writers ever, with over 500 titles under his belt. His genre of science fiction was classified as hard science fiction for its basis on scientific principles. One of his most famous books is the collection of stories I, Robot and he also developed what he called the Three Laws of Robotics. In fact he is even credited with coining the term robotics though he said he’d heard it used before. Asimov also wrote non-fiction, was a leader in Mensa and the Humanist Society, and is fascinating figure for his broad creative and scientific works. What I love about this project is the two in one nature. 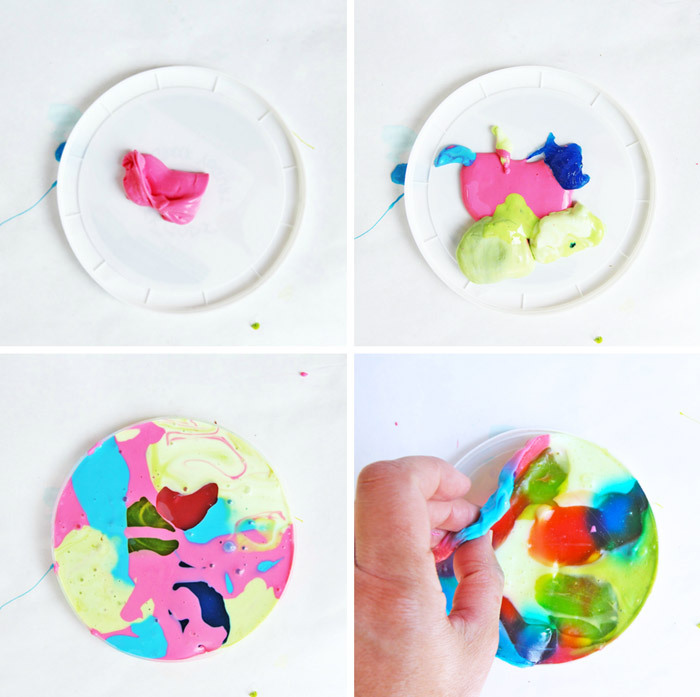 You can start by simply making slime with your kids, which is a guaranteed boredom buster, and then use some it to make something lovely for your window. This would be a great double whammy project for the summer time. 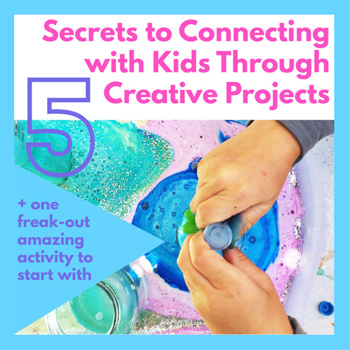 Subscribe via email and check out our FB page where I share tons more creative ideas and resources from around the web. 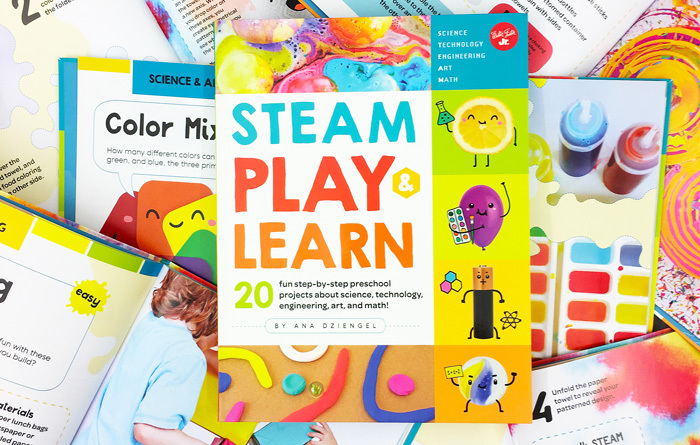 Spread creativity like wildfire: Pin This! Genius! 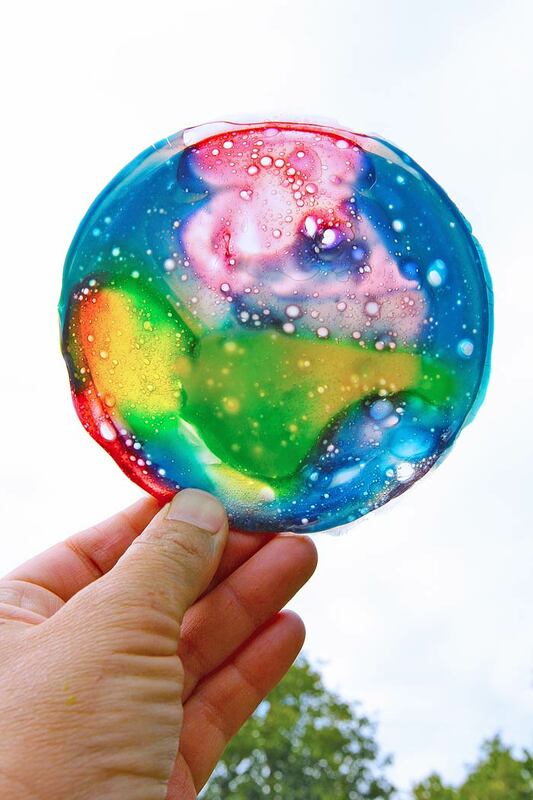 We’re going to have to start collecting lids in the proper sizing for a solar system slime sun catcher blast off!! ?? Amanda recently posted…Hello world, from QT Cakes Bake Shoppe! Post a pic on our FB when you’re done! Sounds awesome!!! Have you tried other shapes and sizes? I’m wondering about rectangles, if the shape would hold. I haven’t but if you do and it works let me know! 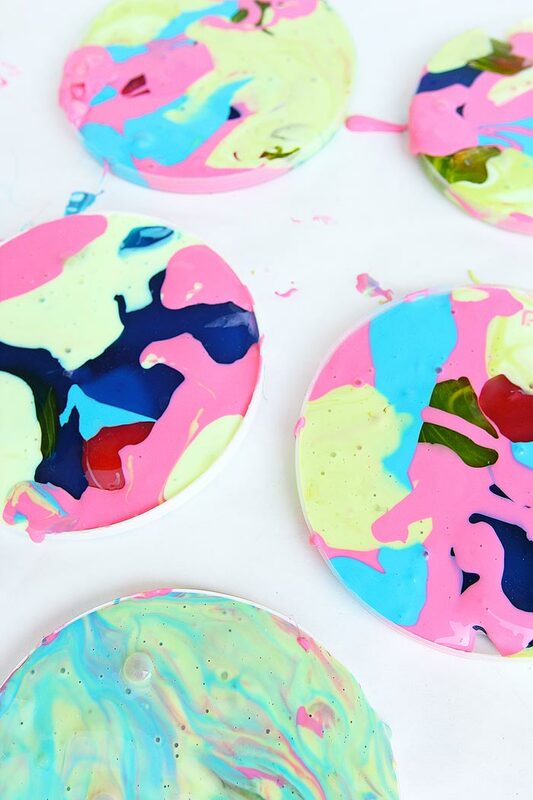 I have always liked anything to do with slime & love the ways itr can be molded or shaped- never though to let it dry out.- I will be using this idea for VBS this summer as it has all the components I need- cheap- messy & utilizes recycling(lids). thanks for sharing this cute stufff!